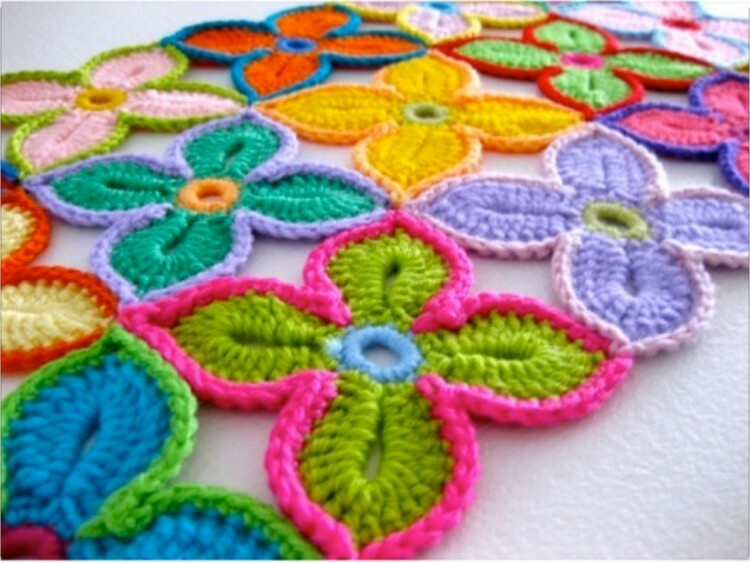 Crochet made articles really look cool and fascinating. 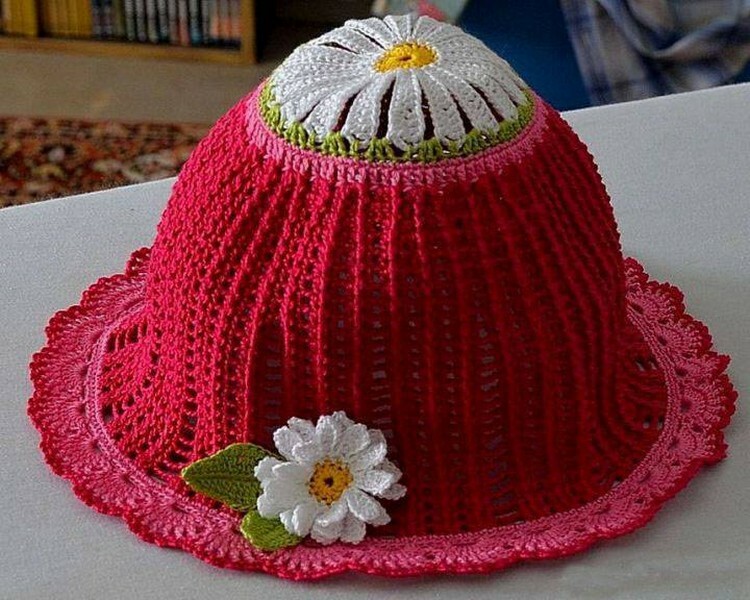 This is a damn old tradition which dates back to the centuries, and the biggest reason of its survival is the emotional attachment of the people with the crochet made articles. Because this happens to be something that is made with one’s own hands for someone special. 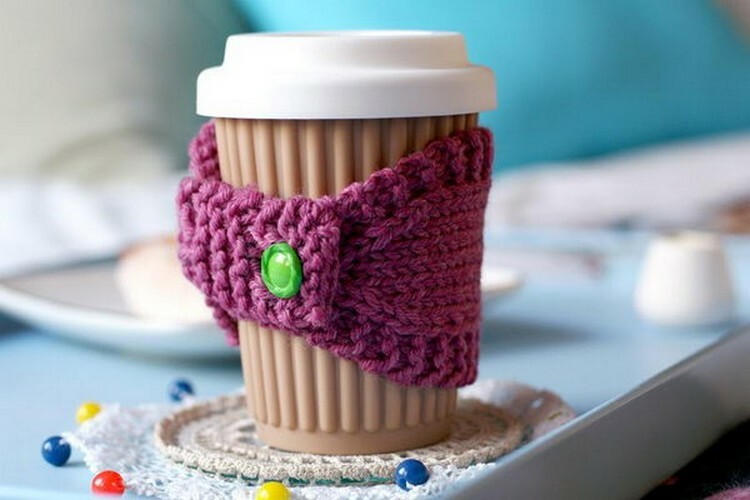 You can do really great things with the crochet, like you can also make a lot of things that are other than the typical creations like sweaters, hats, warmers and gloves etc. 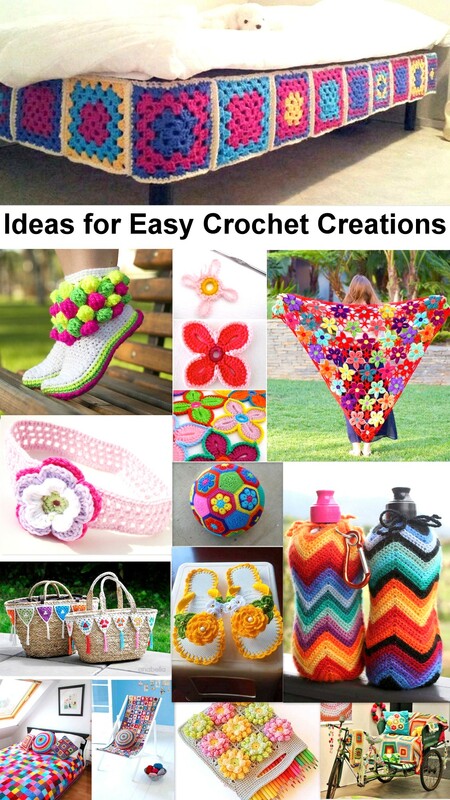 here we have got some very scrumptious ideas for very easy crochet creations. A very stylish shawl for the little girls which also looks like the wings of an angel. Have a closer look and observe what flower patterns are used in the entire creation. Each flower is made with different shades and then combined together in one single unit. Wow, these girlish trainers are simply cool. I mean they simply have got no match, where on planet earth you would find them from the market? Simply from nowhere. The multi colored frills have escalated the beauty of the fleets much more, the same shades are used in the lining on the bottom. Fifa football for your kids, are they in love with that sport? 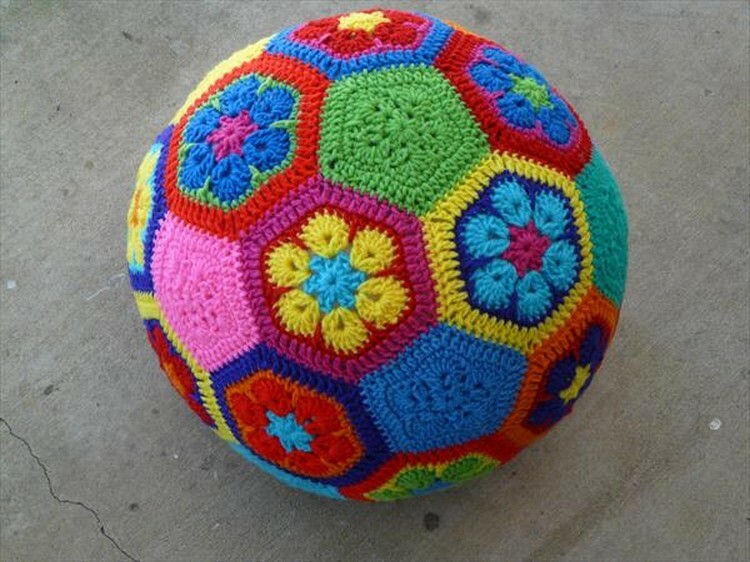 But this one is totally different from those routine foot balls, this is made with sheer love and passion for them. The reason that it stands so firm is the it is a actually a cover wrapped around a real one. 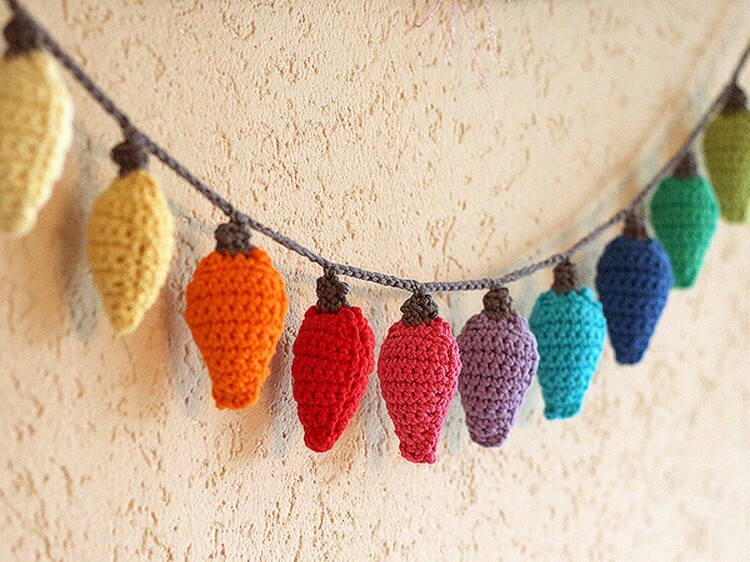 I really feel each next project or idea of crochet creations seems better than the last one. We have tried many table lamps made with multiple materials, but this one seems to be the best among them. 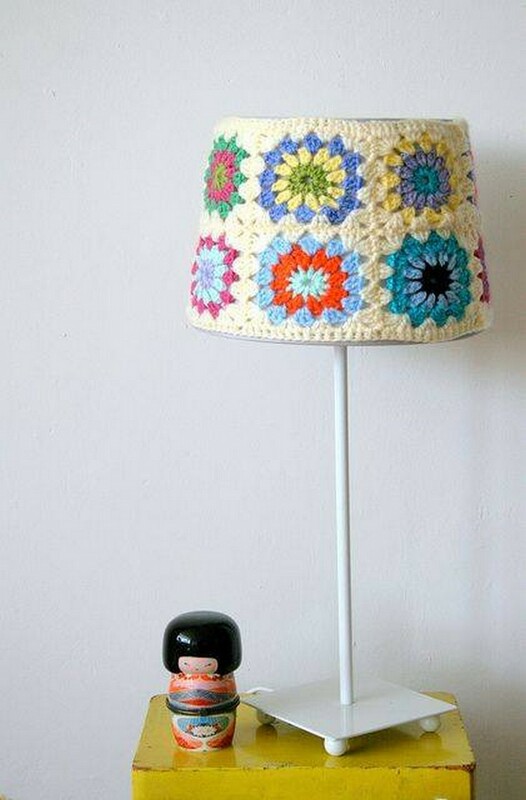 We have simply designed a covering on the lamp shade. 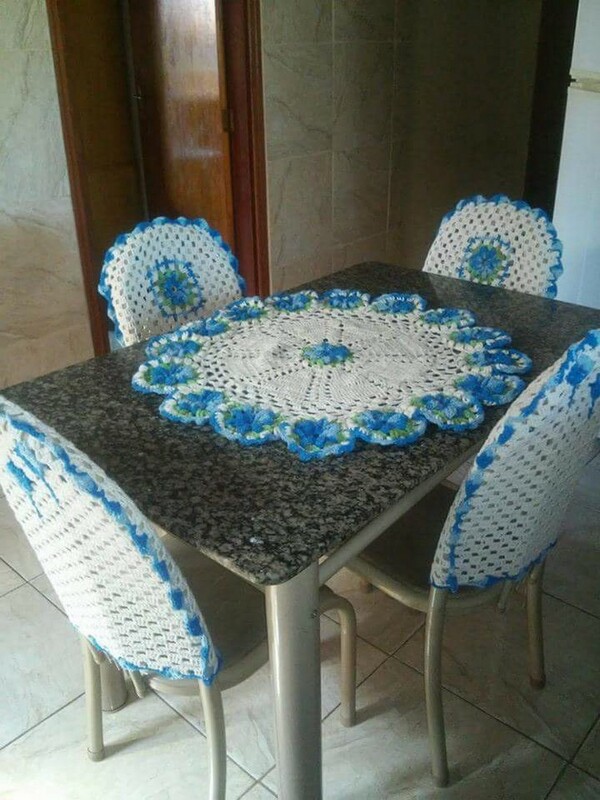 Well, if you are planning to do this one for your personal customize chair then bear in mind that this is not mere crochet made sheet that is simply attached to the chair, but this was actually placed on a thick strong sheet that was actually used in making the chair. So this is basically a mere shade. Never in your life you would have experienced or even seen so much comfortable sleepers in your life, because no one bothers that much for such a trivial creation like simple sleepers. 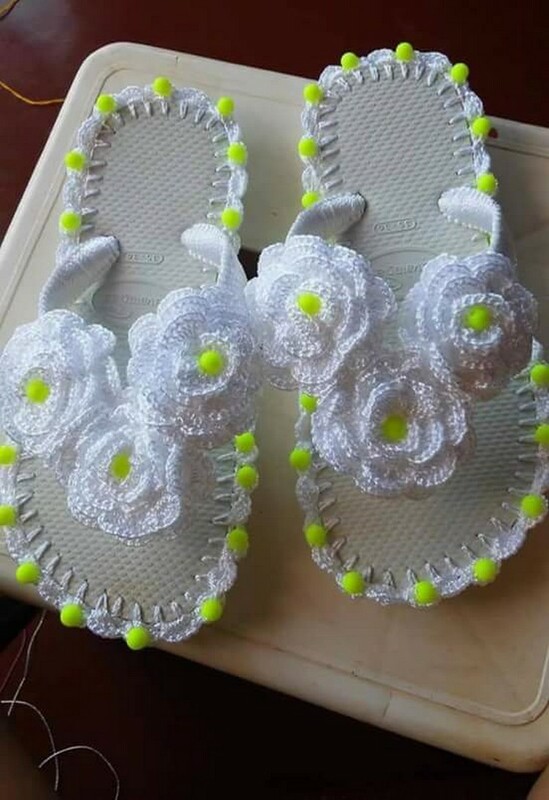 But we have done it for them and with the crochet again, how do they look? 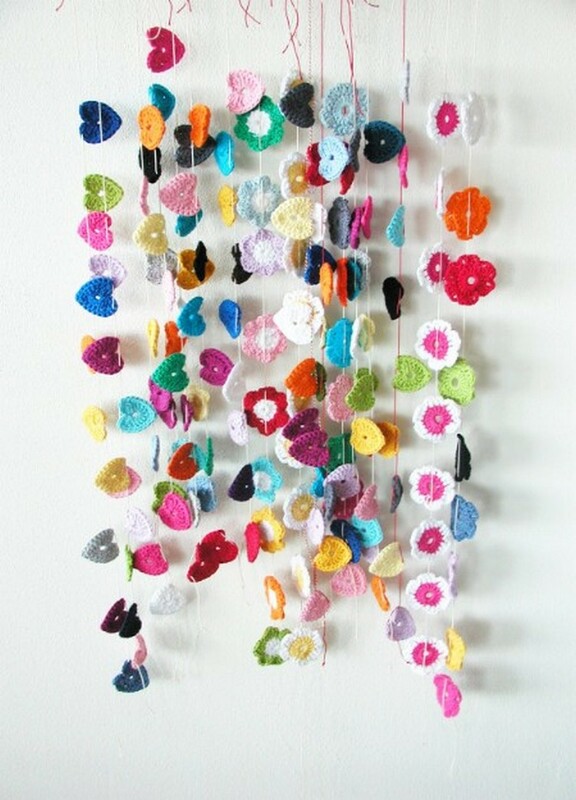 These hanging frills a simple way of making your interior better or this is simply a wall art idea. Nothing hard is done here, these tiny little flowers and hearts were made one by one with differently colored yarns, and then they were attached together. 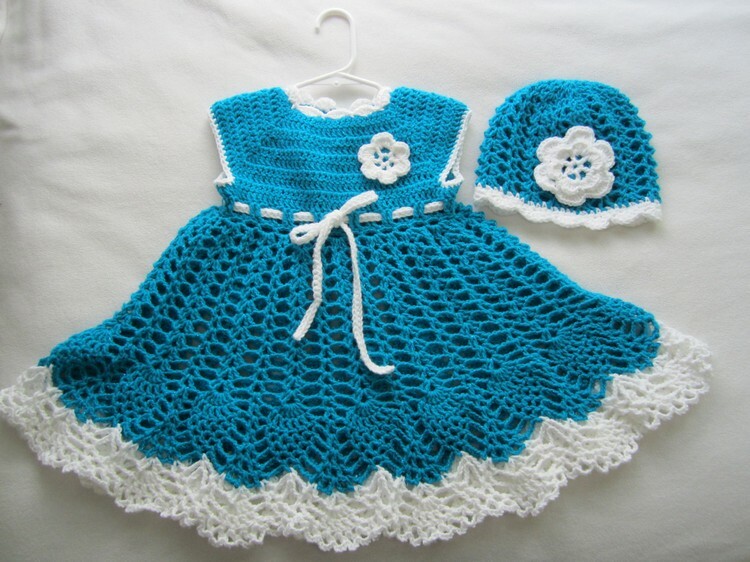 Awww… this is a really cute pair of baby accessories where we see a beautiful frock along with a woolen hat that is a complete package for your newly born angel. She is going to be protected from cold and would look simply gorgeous while carrying this smart attire. This is again a wall art that is done with these tiny conical shaped objects. They all are made with the crochet but to make them we had to do some padding like we had to fill them with some stuff and that could be any like some trashed pieces of clothes etc. 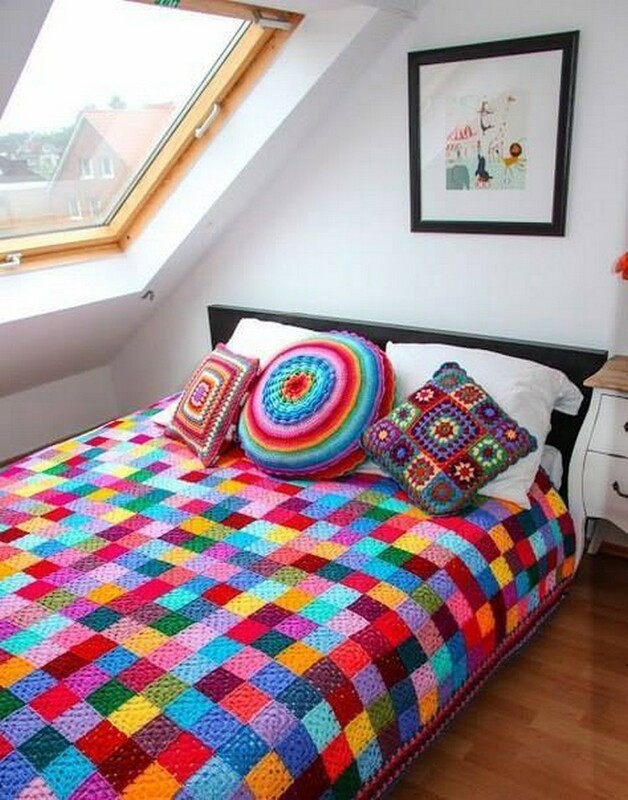 Mattresses normally come with their normal company name and logo printed covers, but if you have to make them look better infact artistic, you can plan this whole wrapping made with crochet for them. Though it is going to be very time consuming but in the end this would become pretty worth it. 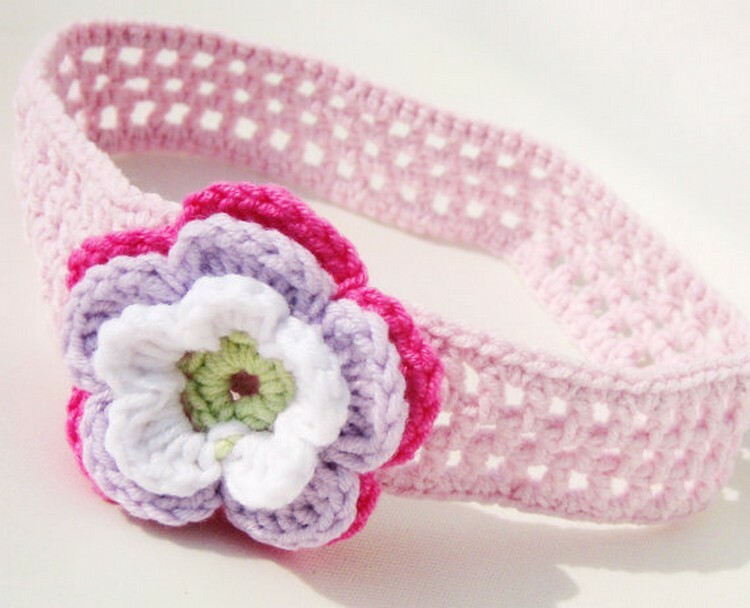 My goodness, I really want this cute headband for my baby doll, this is so damn cute man. just look at the color combination, pink, purple, white and green these are all the colors she is obsessed with, especially the pink. 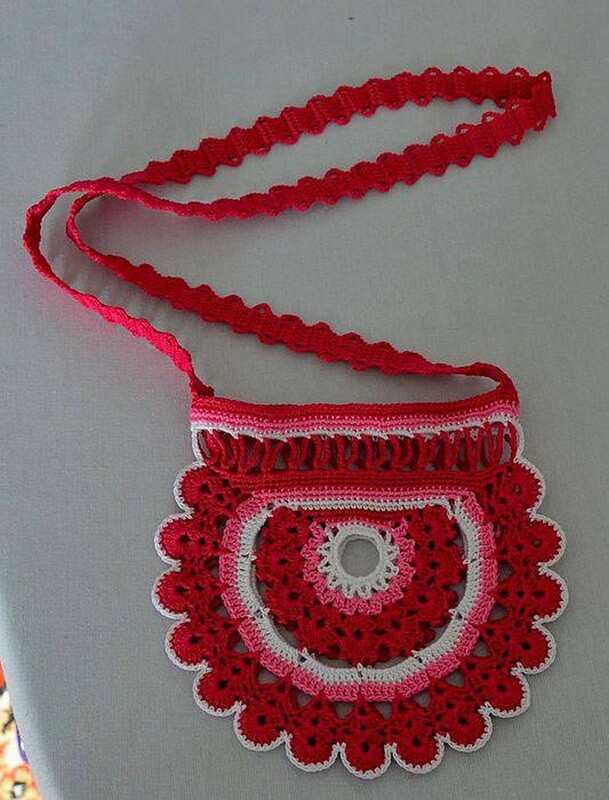 While this is something stylish for a smart street girl who walks on the streets like as if she is walking on the ramp, the color combination and the design also reflects the style and attitude hidden in this crochet creation. This would go perfect with jeans and tees. 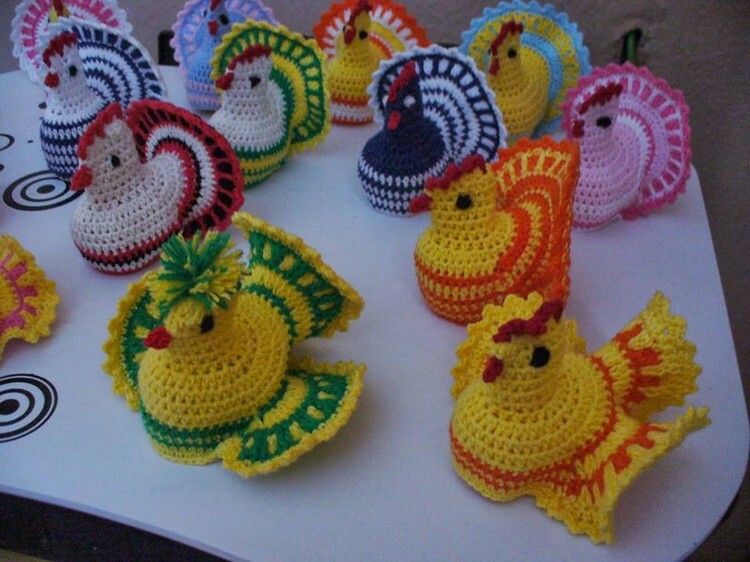 And these are probably the cutest sculptures that I have ever witnessed made with the crochet. Each and every part is made so delicately that skill is defined in the whole process very smartly. Again we would require some trashed or useless material for the filling purpose whether it be cotton or some trash cloth pieces. 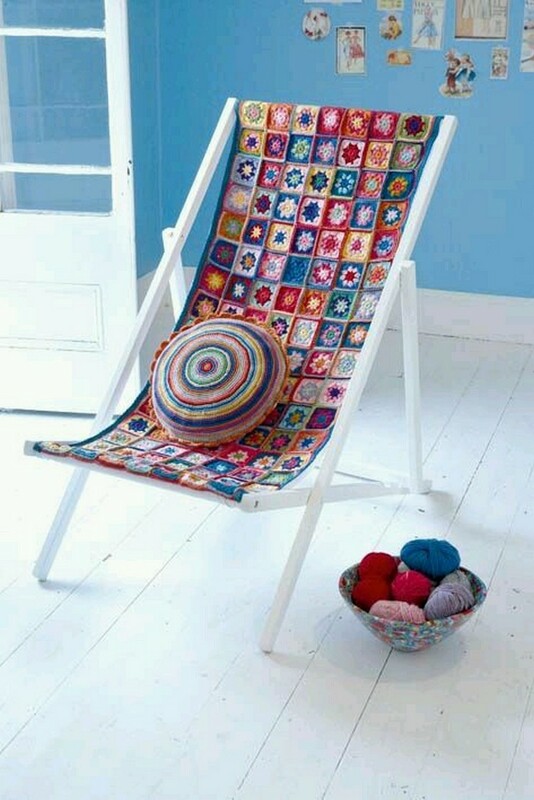 And this one is cute like it has got the shades that are really impression creating and very soothing as well. This seems to be something like much closer to the innocence other that the attitude. Try it if it defines your style and goes with your image. Mobile pouch is something that has literally become a must have because life without this tiny device seems to be paralyzed and jammed completely. 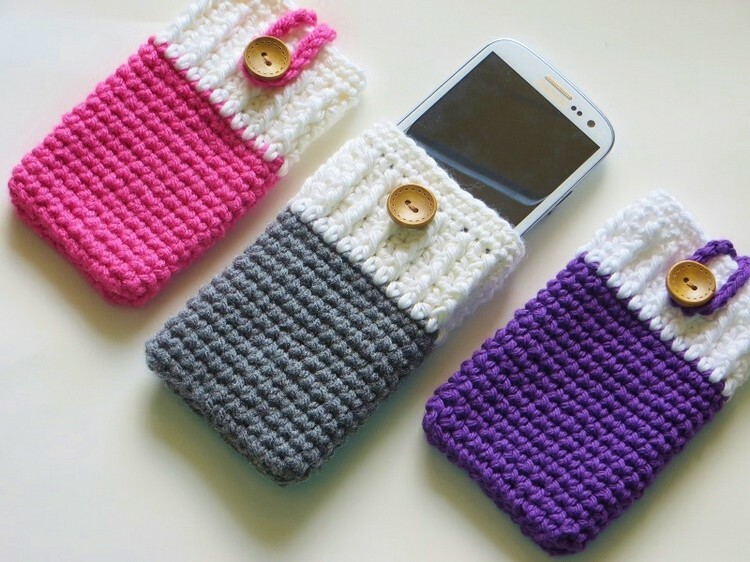 Meanwhile we also have to take care of this expensive device, so this time try this indigenous self made crochet creation for your expensive device. Lamps come in a variety of shades and designs. More or less they seem same to me, but if this one is placed on the table I would really be stunned to see the beauty of this smart art craft. like this is something unusual, something exclusive. 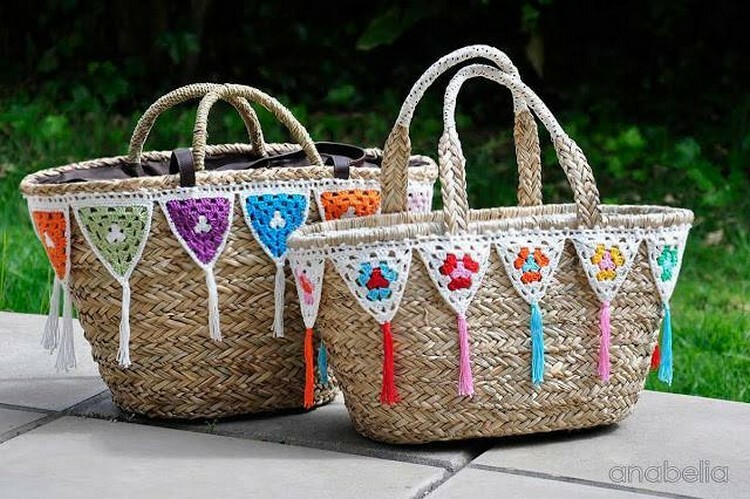 Although this is your skill and experience that counts the most, but meanwhile you cannot deny the importance of the tools or crochet needles that you use, also the quality of the thread and yarn also makes a huge difference. This effects a lot to the fineness and accuracy of the shape a lot. All the ideas we are discussing here are of very trivial kind in nature, but on the whole they really make an impact. 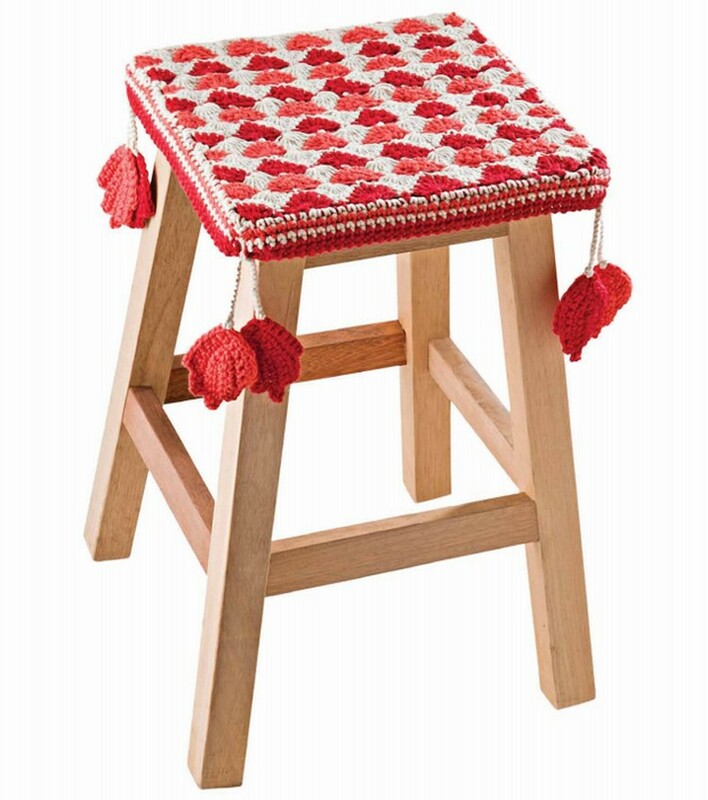 Like here we have used this stool cover stool seat cover. This is a positive thing for the furniture customization and also a unique approach as well. 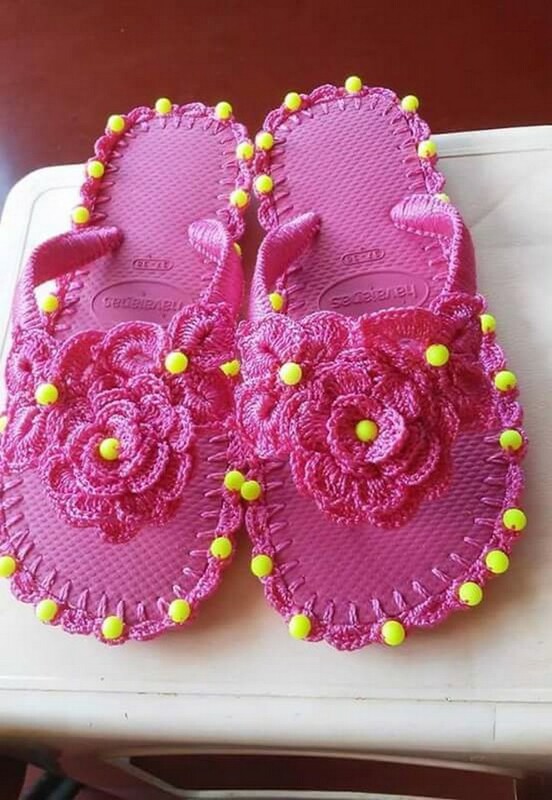 Awww… these cute baby booties are so dear to me as the remind me of my new born baby, I always adore such cute kids accessories and I feel like grabbing all of them. 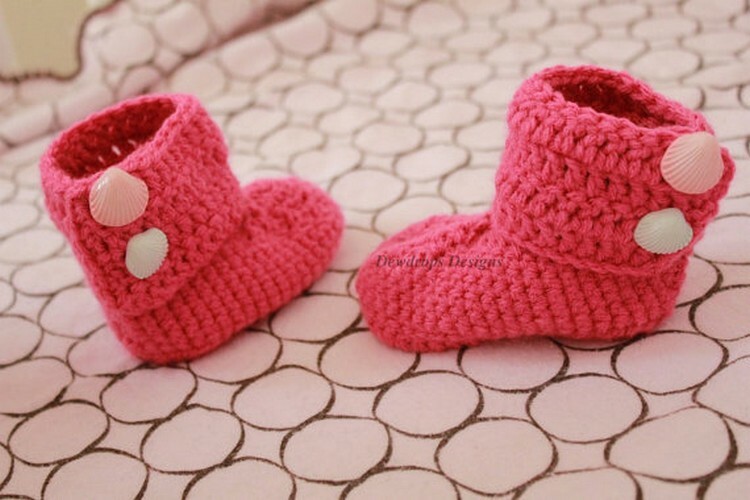 Just see they are not at all market base branded expensive booties but purely made with crochet. 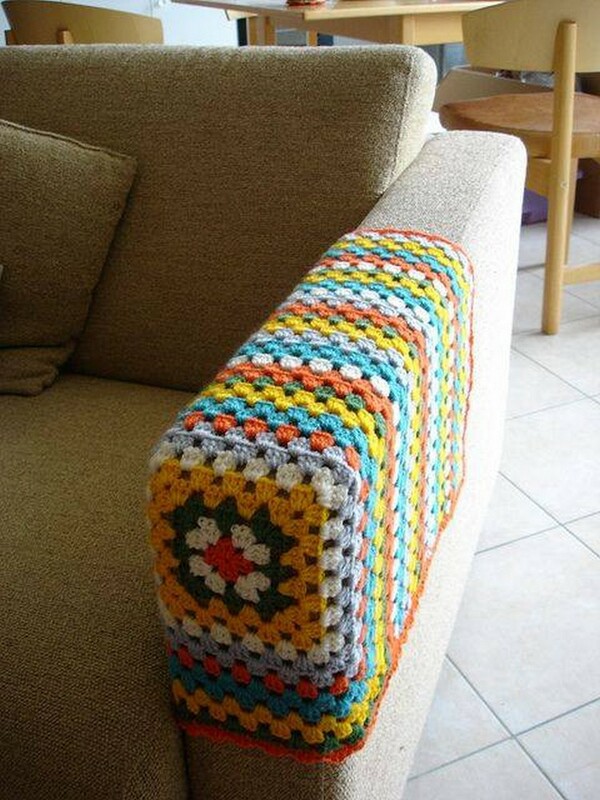 Again these couch armrest covers are something that we don’t see around usually. 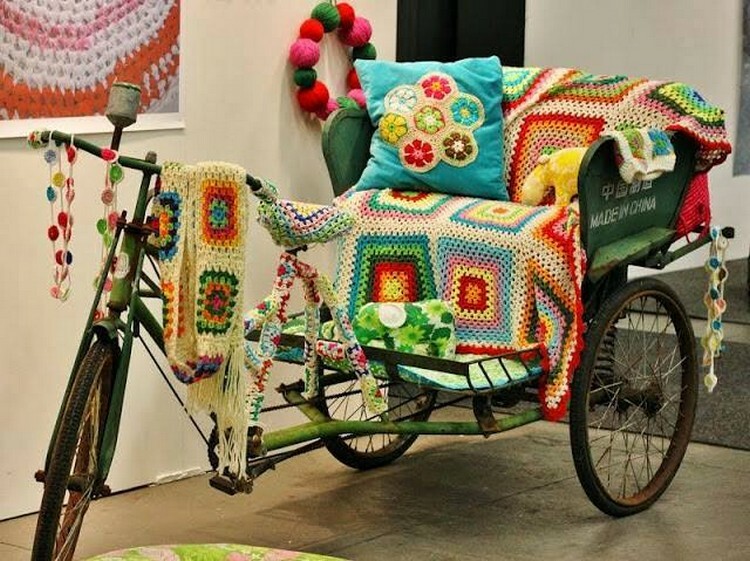 This idea is initiated by these smart crochet art crafters and if we see at it, this really looks cool. I mean this is something that distinguishes your common wooden furniture range from the rest. 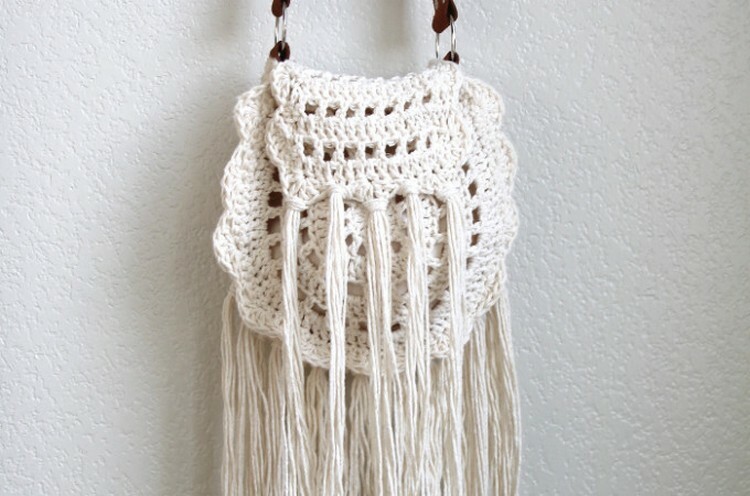 Wow, now this one seems more like a perfect wall art idea rather than a proper hand bag to me. But again this is something that is related to your mood and taste. 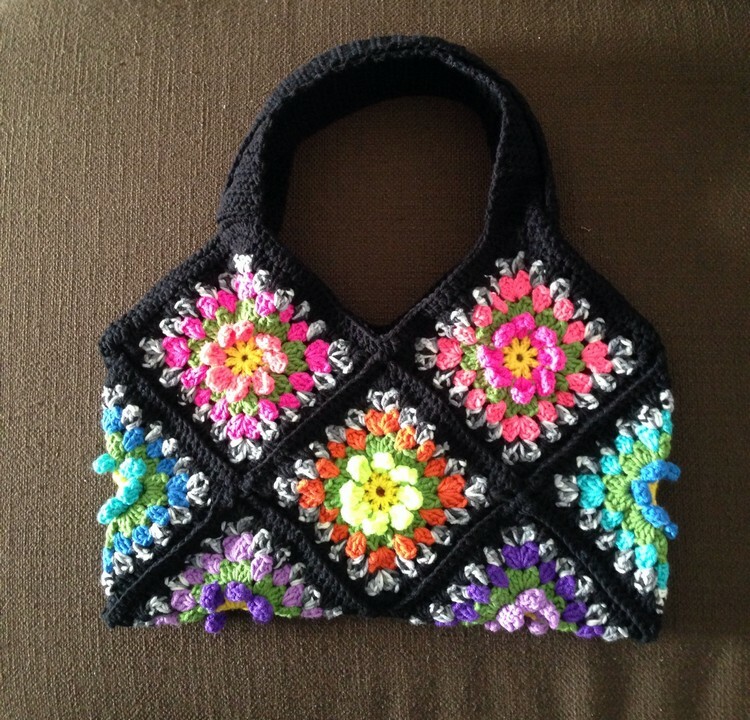 There might be a large number of ladies who would just like to make this crazy bag their pick. I am really impressed and driven away by this unique idea of sleepers. 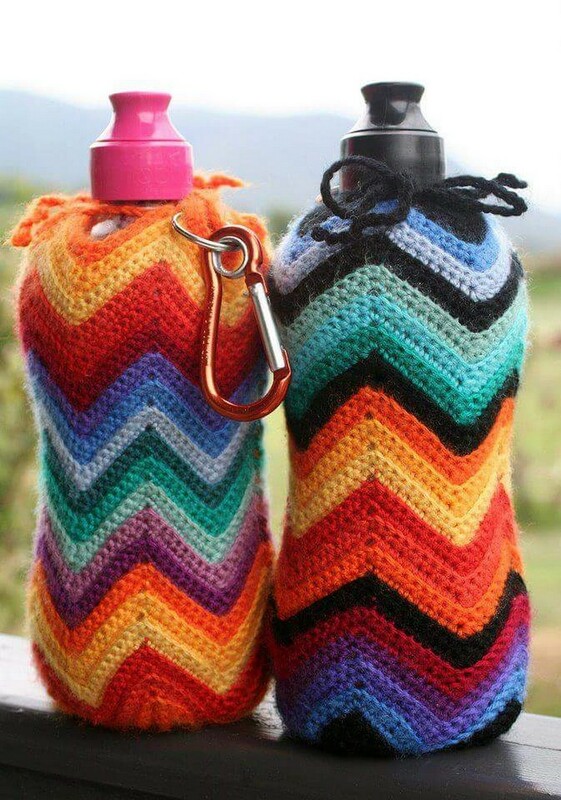 Like I have had never seen them before, I really applaud idea and the crafter as well. 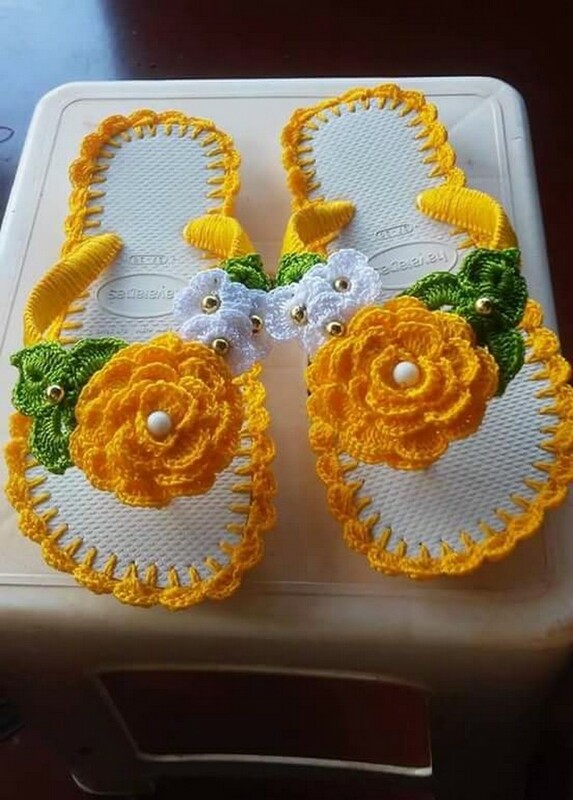 This simple thin sheet that is normally used in shoe making is covered with crochet made floral embellishments in making the upper. This is something that could really be called a really artistic move. 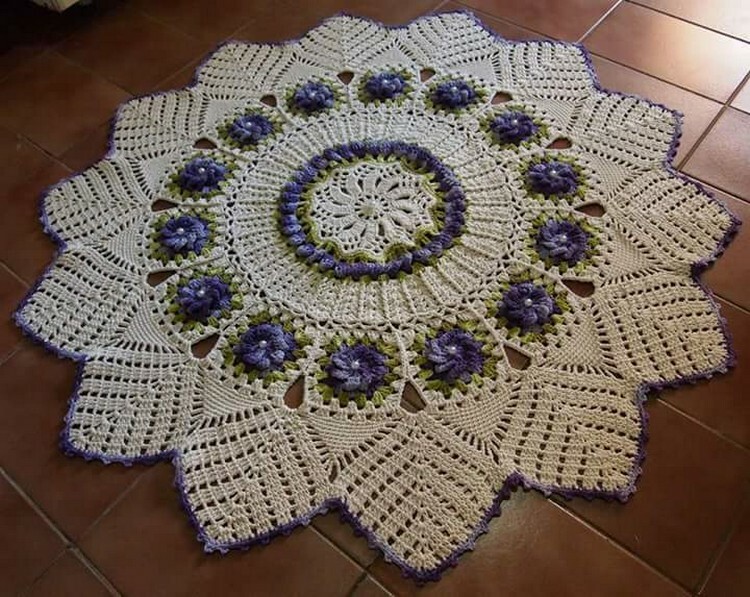 Like a lot of crochet made creations could be seen here, and all of them are meant to make an impact as an art craft. very extensive work was needed here for sure. 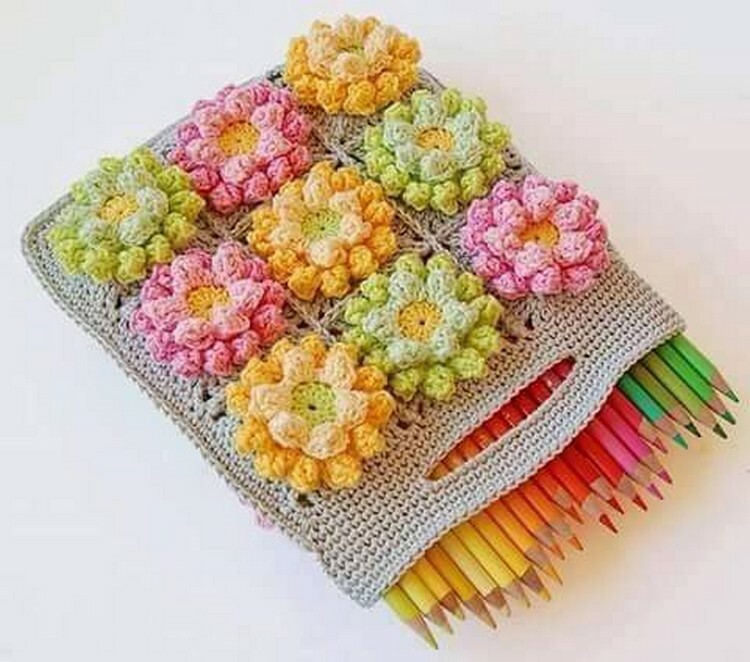 This pencil case is again very cute. Such crazy things always fascinate the kids like they are never okay or happy with the routine stuff. They always need something crazy and different. And this is a grabber for them, they would just love to fill it with their color pencil collection. These stylish pumps could be counted as best only if we succeed to make them erect and firm. For this you can use the professional wooden made frames that are used in actual shoe making, well this could cost a bit but in the end this would be something really phenomenal. 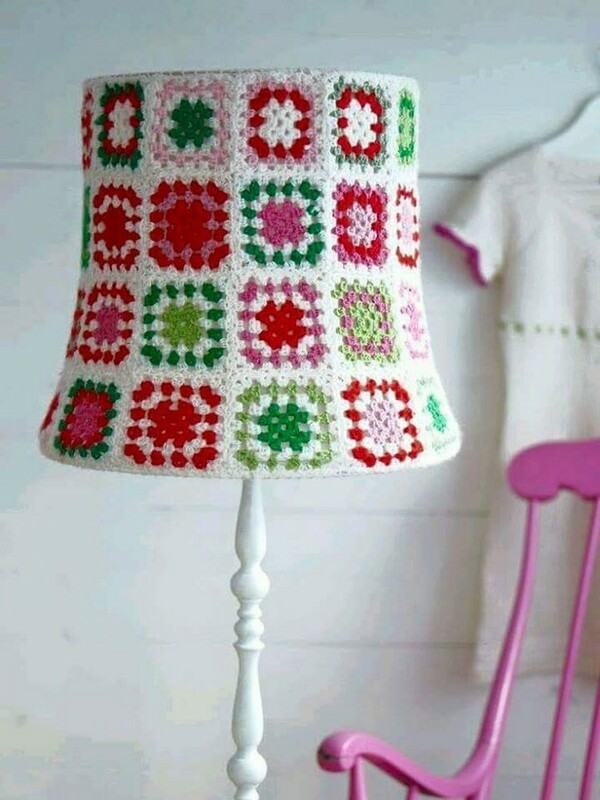 When it comes to the home accessories there is a whole long list that can be done with the crochet. 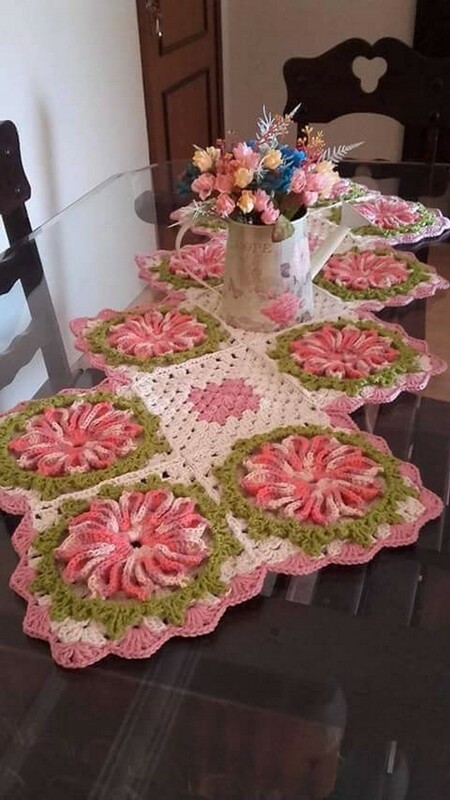 Like this whole dining table mat shaped as combined coasters was all made with the crochet. Although very excessively delicate and professional sort of work is really displayed here that takes a lot of guts and experience as well. 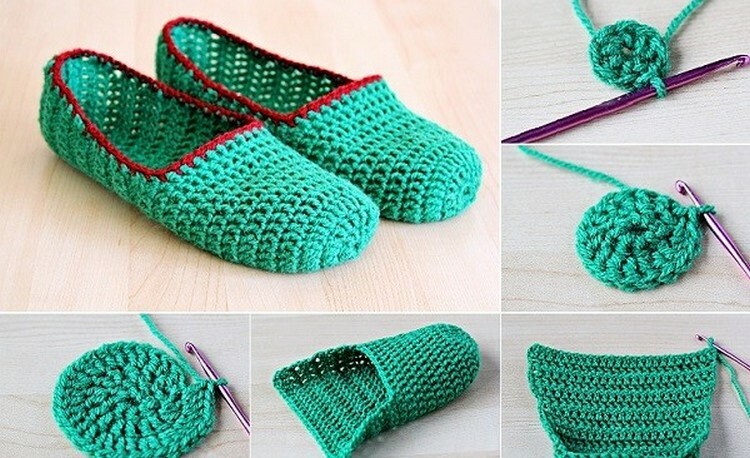 Sleepers I guess are the simplest and easiest thing that you can do with the crochet. Like you just need this sole sheet that certainly could be reclaimed from an old sleeper. And the rest of stuff could be done with the same thing. 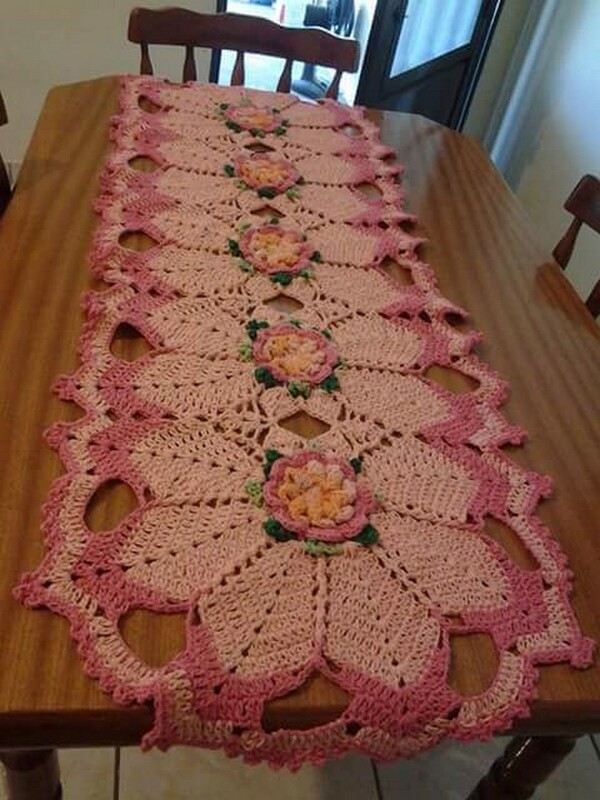 Again we have come across a floral dining table mat. This reflects a bit typically traditional trend that we used to see in good old times. But this still could prove to be a real charmer for many as the main component of this mat is fineness and sweet blend of soothing shades. Who said that to have a rug you have got the only choice of some expensive Turkish and Iranian rugs that are really so damn expensive? 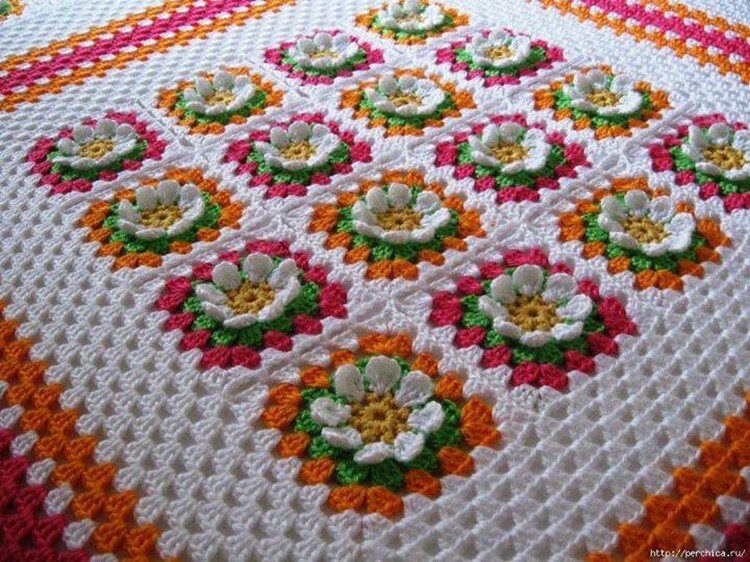 You can always try this beautiful flower shaped crochet made rug, although it is a time consuming thing but still worth giving a try. Well this one is really a tricky one and the beginners must stay away from it because it carries some of the toughest pattern that could really give a hard time to the fellows. So this kind of stuff must be tried by the mentors. There is a whole lot of stuff that you can do for the home accessories like this was a common and relatively cheap furniture range made of iron. But we have totally turned around its outlook that that was so ordinary early. 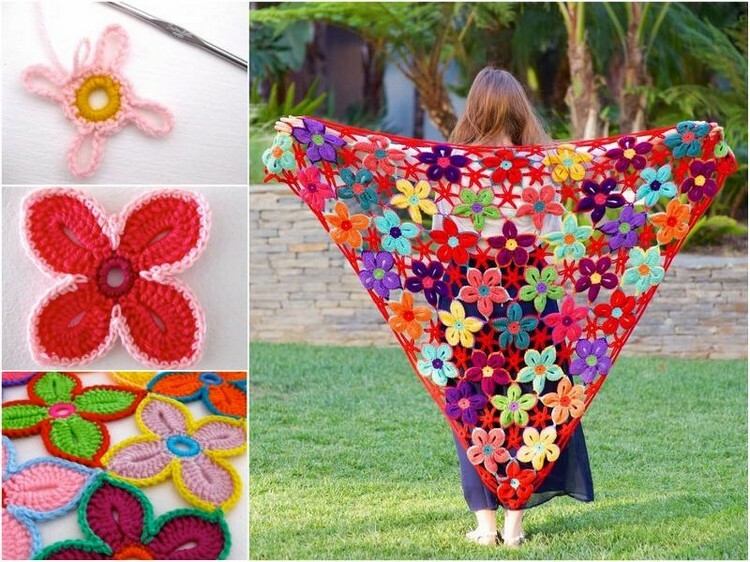 This is the magic of the crochet creations. 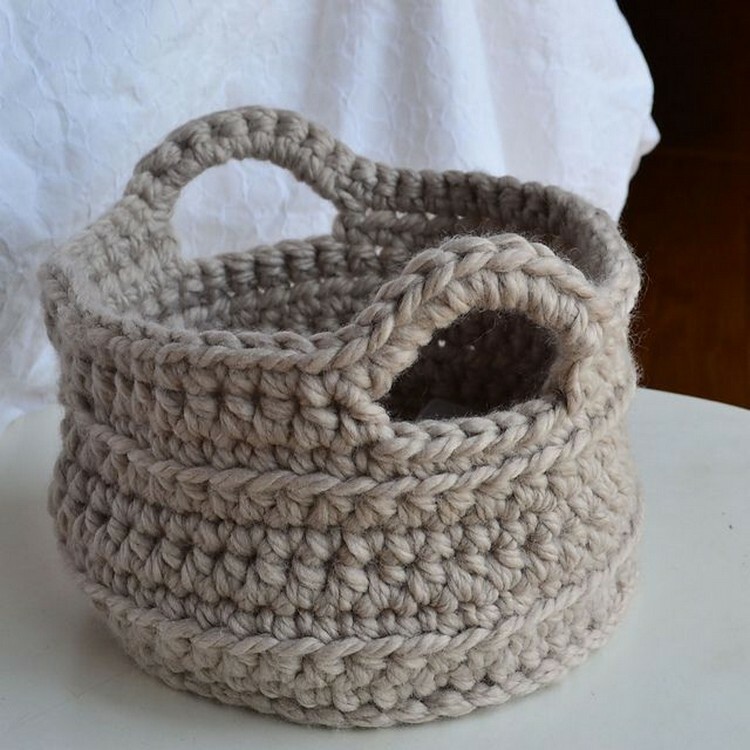 Other than these routine things made with crochet you can try several trivial crochet creations that could be related to like any of the home accessories whether they belong to the kitchen or the bathroom. 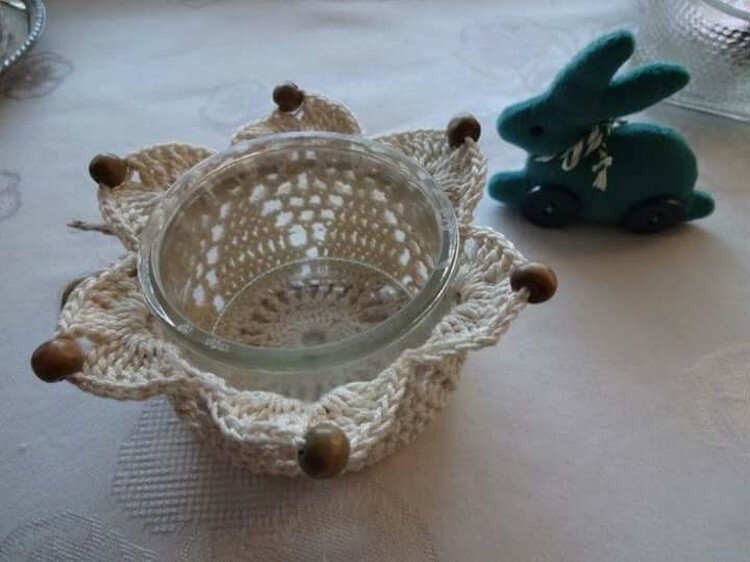 Like here we have wrapped this glass bowl in a crochet cover. This tie was put on a star bucks coffee mug that was made of some synthetic material. 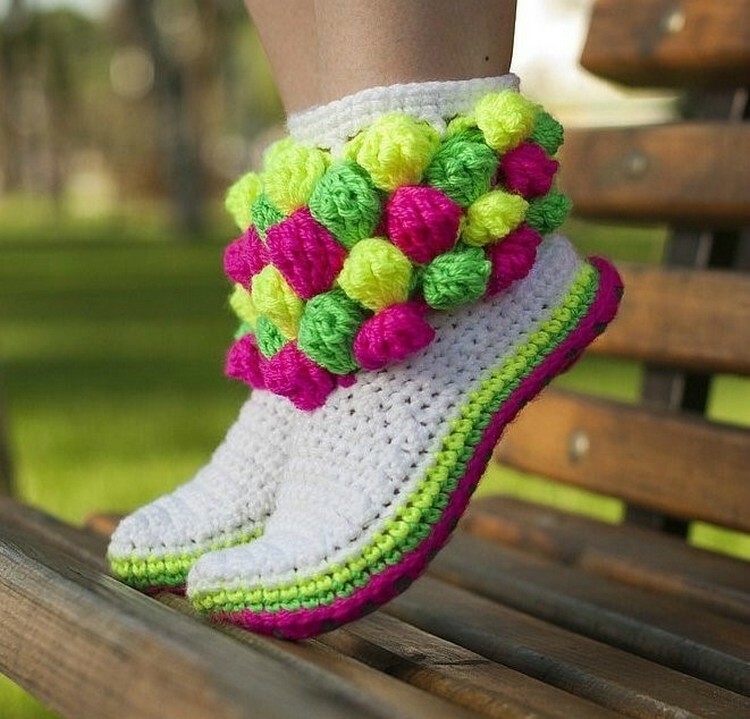 I guess this is just a way to showcase your expertise with the crochet creations. This really makes no difference what people would think about this, just let your skills speak louder and out of the box. And finally I was compelled to end on something that is typically associated with the crochet skills, a ribboned and embellished red hat made with crochet purely. This kind of hats a real source of fascination for all young girls who like to present themselves this way.